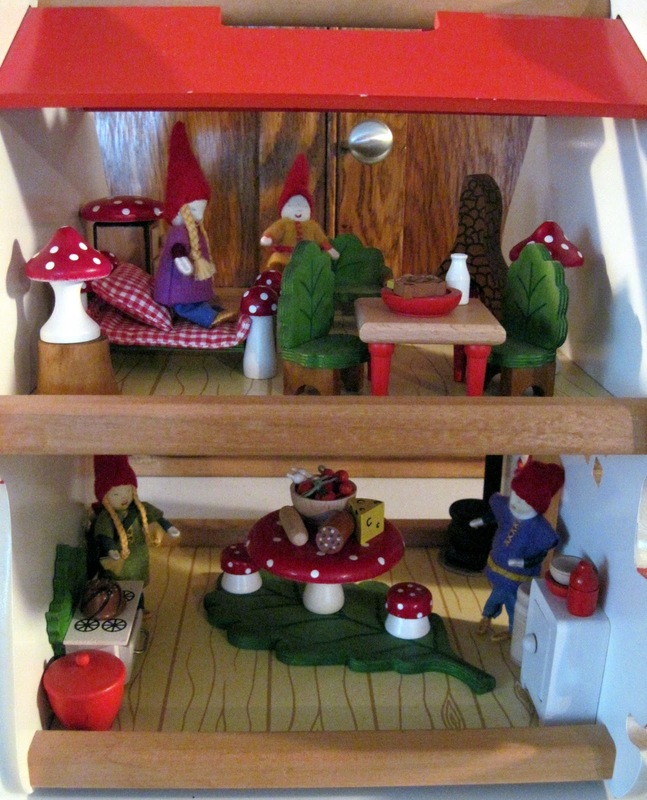 So colourful, and obviously a busy ittle family and quite happy with their lot in gnome life. 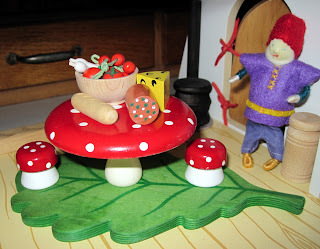 I found your blog by doing a google search for mushroom dollhouse. I wanted to know if the mushroom furniture fit and I'm so glad to see it does from your photos! I do wish I knew the manufacturer. Super cute! That's amazing: I shop at Magic Cabin all the time, and they've never had that mushroom house before. It appears it was just added to their line. I wonder where they got it, too! But yes, the mushroom furniture fits beautifully. 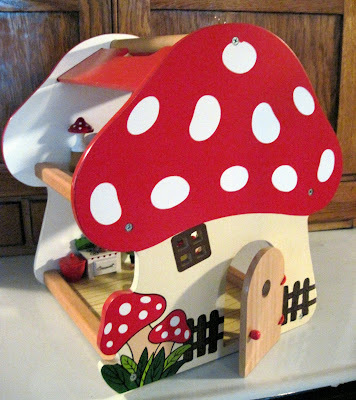 Enjoy your house! 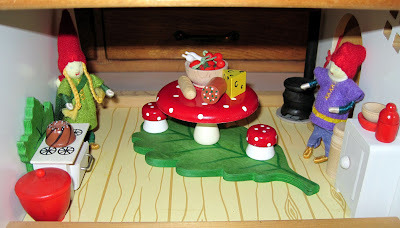 I just got the mushroom dollhouse from Magic Cabin. Where would I get mushroom furniture similar to the gnome family's. 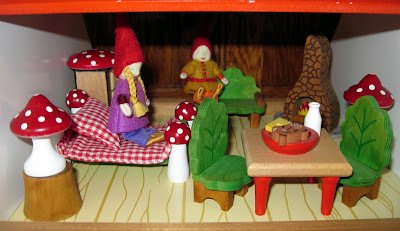 The mushroom furniture is available on amazon.com: under Toys, search for mushroom dollhouse, or Fairy Forest furniture. The company is called Enchantmints. 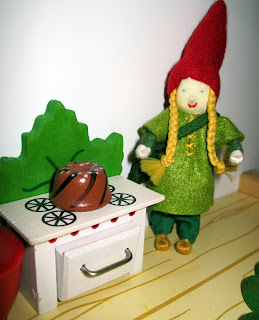 It was also available at a wonderful online toy shop: www.blueberryforest.com. Thank you so much for the recommendations. 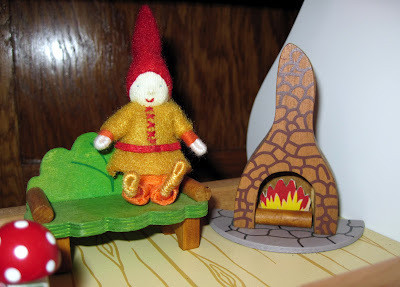 I got some of the furniture from Enchantmints and it is perfect. Glad to be of help! Enjoy your dollhouse!